Are you considering an air traffic controller career, applying for an air traffic controller course, or facing an aptitude test? Review the various assessments that make up the air traffic controller training application process and gain access to unique practice resources. In the UK, Air Traffic Controller's (ATCO) licences are issued by the Civil Aviation Authority (CAA). Candidates must first undergo initial training to become a Student ATC, followed by unit training leading to the full ATC licence. Applicants for a Student ATCO licence must be at least 18 years of age, hold at least one GSCE level pass (or equivalent), and have at least ICAO level 4 English. They also need any educational qualification that may gain them access to university or a similar educational institution. Applicants without the required qualifications may still be accepted if experience or other evidence suggests a good prospect of completing training successfully. The Student ATCO joins an active unit and provides ATC services under the supervision of an approved instructor. As all units are different, unit training provides the student with the skills to become an ATCO at that particular unit. Each training plan may have different phases and requirements. Once those are fulfilled, the Student undergoes a rating examination demonstrating their skills and abilities in the role. After passing this exam, candidates can apply for a full ATC licence. To be granted a full ATC licence, candidates must be at least 21 years of age (20 year old applicants may be accepted in some circumstances) and obtain a European Class 3 medical certificate. Once you have your ATCO licence you may apply for a position at different Air Navigation Services Providers (ANSPs), such as HIAL, SERCO, and Safesky, or airports which hire directly. Each of these provides both initial and unit training services, albeit in different areas. For example, both NATS and Global ATS provide Approach Control Surveillance training, but NATS also offer Area Control Surveillance training whereas ATS do Approach Control Procedural training. The NATS selection process is considered to be significantly more demanding and exhaustive than that of other training providers. JobTestPrep offer a professional practice pack for the first stage of aptitude tests by NATS. Click here for more information. There is another fundamental difference: NATS are the only ones who hire ATCOs after training them. Their trainees are in fact already considered company employees. They get paid during training and are guaranteed a job in any of the facilities NATS provide ATC services for. The other two providers charge for training and cannot guarantee a job for those who pass. Their application process may be easier to get through, however, and provided you have completed all training successfully, you will be able to find a job in any airport that employs ATCOs directly or through private companies. Another option to work as an air traffic controller is to join the Royal Air Force and become a military ATCO. The RAF offer two roles: the non-commissioned controller and the control officer. Candidates must be aged between 17.5 and 36 in order to apply, and hold at least 5 GCSEs (or equivalent) including English and Maths. Officer candidates will need 4 GCSEs at a minimum grade of C, and English and Maths at a minimum of grade B. Two A2 Levels/3 Highers at grade C or above (excluding General Studies or Critical Thinking) which total a minimum of 160 UCAS points are required for officers as well. Alternatively, if you have a degree at grade 2:2 or higher (or equivalent), you only need English and Maths GCSEs at a minimum of grade C and B, respectively. Candidates who meet these criteria will be required to pass the general selection process for joining the RAF, including the Airmen/Airwomen selection test (AST) and the Officers and Aircrew Selection Centre (OASC). JobTestPrep offer several practice materials for these assessments, the details of which you may find in the above links. Training will begin with a Basic Recruit Training Course (BRTC) followed by the Non-Commissioned Aircrew Initial Training Course (NCAITC) for controllers, and the Initial Officer Training (IOT) for control officers. Then both will complete specialist ATC training at RAF Shawbury, Shropshire. It is important to note that the military ATC licence is invalid outside of the Army Forces. In order to transfer back to civilian life one would have to undergo the civilian selection and training process to obtain a full CAA ATCO licence. It is important to acknowledge that there is no one air traffic control test, as it depends on the training provider you are applying for. Therefore, there is also no one air traffic control practice test, as preparing for one training school will not be the same as preparing for another. Generally speaking, air traffic control aptitude tests assess abstract, spatial and numerical reasoning (usually including speed, distance and time problems). These air traffic controller tests are usually the first stage of selection and may be administered online or in a special assessment centre organised by the air traffic control school. Another group of tests may be administered in order to assess traits that are more specifically required for ATCOs, such as concentration and multitasking tests, a real air traffic control simulator and so on. These are often given at later stage of the process. 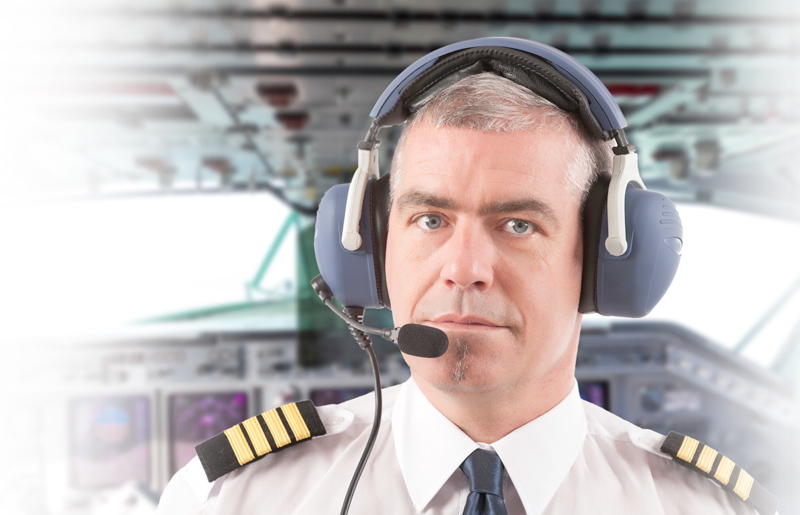 We currently offer preparation for NATS Air Traffic Control Aptitude Tests. Learning how to become an air traffic controller is a complex, lengthy process. Training schools want to know the people they accept are up for it. One way to do that is to look for some basic knowledge and understanding of the field, assuming anyone who is really interested in this job will have looked it up beforehand. Basic background knowledge tests are therefore an important part of the selection process. Questions might address the differences between approach, area and aerodrome controllers, names of airports, control towers etc. In some cases you will be provided with relevant reading material to study before you sit the test. The purpose of the air traffic controller interview is to determine how well you fit the role of ATCO providing your results in the other tests were satisfying. Interviewers may include both ATC professionals and HR personnel, who will be looking for genuine interest in the field and may present realistic scenarios, asking for your suggestions and possible solutions. The air traffic controller recruitment process includes many different assessments aiming to provide recruiters with all the information they need to choose the right people for the job. While there is no one air traffic controller exam, there are certain features that are common to all training colleges. Preparing in advance for this whole process, especially for the air traffic controller test, will improve your performance and increase your chances of getting into training school.